Amanda Knox gained notoriety in 2007 after being accused and later acquited of killing an exchange student she was living with at the time in Italy. It was not until eight years later, and fours years in jail, that Knox was ruled innocent of murder. Now, Knox is hoping to put the past behind her by visiting the city where the ordeal occurred, Perugia, Italy. The 31-year-old, reports the DailyMail, told an audience in New York City at the True Crime festival that such a move would help her healing process. She said, in part, according to The Sun, "It's very scary and every day you need to face up to something new that is terrifying but I've been lucky and I am healing." 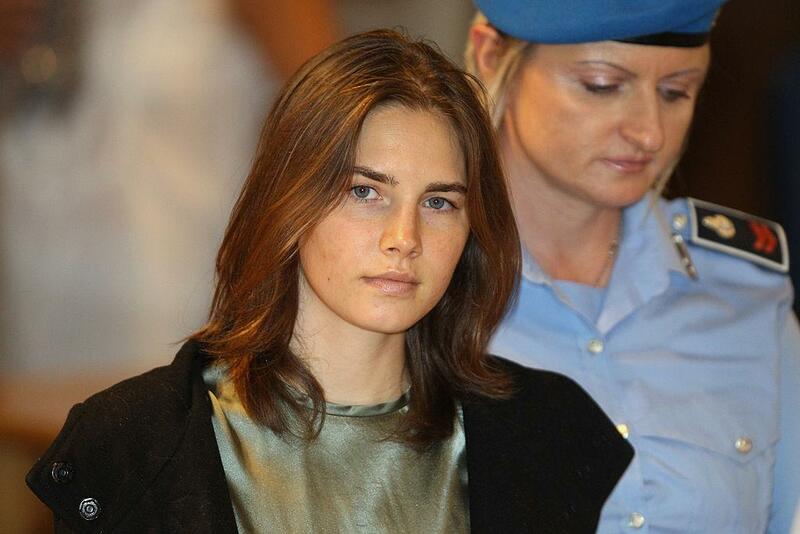 Knox, as well as her then-boyfriend Raffaele Sollecito, both received international publicity after Knox's flatmate, Meredith Kercher, was found in the flat they shared with knife wounds, which led to blood loss and suffocation, causing her death. The 21-year-old University of Leeds student was also sexually assaulted and her body was found under a duvet. "I have an amazing family and friends and an incredible support network," Knox continued. "But you have got to face up to your fears alone if you want to heal and I know the main thing that still terrifies me most is returning to Italy. It's something I know I have to do and I will do it but it really does scare me... I know I have to go back at some point I’ve just got to prepare myself for it." Prior to her murder conviction being overturned, Knox and Sollecito maintained their innocence. After the guilty ruling was overturned, Knox returned to the U.S.